This page outlines what the gospels tell us about Jesus and how he would have been understood in the culture of his time. It is based on the conclusions of Bible scholars and historians. 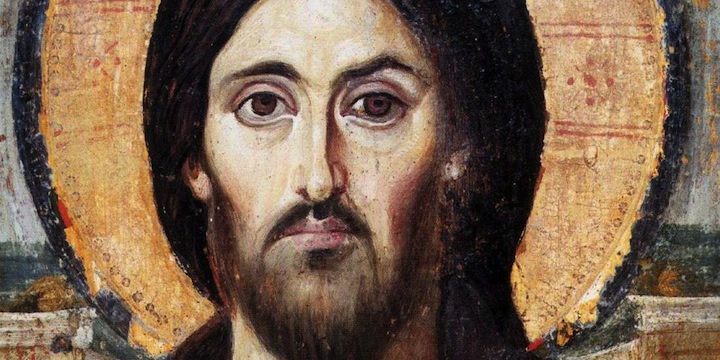 Jesus, or Yeshua ben Yosef (son of Joseph), was born about 4-7 BCE and grew up in Galilee in Israel, at a time when Israel was occupied as part of the Roman empire. Sometime after he turned 30, in about 28 CE, Jesus began to move around Galilee, teaching and healing. In the manner of a rabbi of his day, he gathered a group of disciples around him. In possibly the third year of his public ministry (30 CE), Jesus was executed by the Romans. But shortly after his execution, his previously demoralised followers claimed his tomb was empty and he had appeared to them alive, having been raised from death. His followers boldly spread the word of Jesus’ life and mission so vigorously that within 3 centuries the movement had overcome the Roman empire. Jesus entered into many of the ethical debates of his day, but he gave many teachings greater depth or new twists. “Do not kill” became “do not hate”. Justice and revenge must be replaced by mercy and forgiveness. Materialism is a major barrier to knowing God. Justice and mercy was more important than religious observance. He summed up his teaching as “loving God whole-heartedly, and loving our fellow humans as ourselves”. Jesus saw himself as beginning a new community which lived in the light of God’s forgiveness. God called for these new behaviours from those who had received that forgiveness. Jesus’ great message, often taught in parables (stories with a punch line), was: “The time has come when God is invading history, establishing his rule on earth and beginning to put things right.” He invited people, especially the poor and down-trodden, to voluntarily come under the rule of God, expressed through him as Messiah, receive forgiveness, and live a new life in a new community. One day, God’s rule (= God’s kingdom) would be made complete, but for now, people face a choice whether to follow him in bringing freedom, justice and forgiveness. Miracles, predominantly healings and exorcisms, were a major part of Jesus’ minstry, and seem to have been aimed at demonstrating that God’s kingdom was indeed beginning on earth with him. Historians are clear that the miracle stories are not later legends, but were believed at the time. But can we believe in miracles in this scientific age? If we believe there is no God and the universe is a closed system governed only by natural laws, then we will need some other explanation, but if we believe God may exist, we can remain open-minded. Jesus was a Jew who followed the customs of the religion he learnt as a child. But he was also an outpsoken critic of the religious establishment and many of his teachings overturned Jewish traditions and even the contemporary understanding of the scriptures. God was not distant and demanding, but more like a “dad” – a God of extravagent love who welcomes the most outrageous “sinners” if they turn to him and receive forgiveness. During his last meal with his disciples (the “Last Supper”), Jesus offered us all a new start with God, based on his death and our faith. Jesus’ words and actions give strong indications of who he believed himself to be. He did and said many things only God can rightfully do – forgive sins, pass judgment on all people, re-interpret the scriptures. He made claims to be the “light of the world” and the means of eternal life for all who believe. He claimed to be God’s Messiah, his special representative on earth, and that God was his “dad”. Christians believe he was “the son of God”. Based on the historical evidence, it seems we can take two views about Jesus. Either he was a great teacher but we cannot believe the supernatural aspects of the story, and he is ultimately irrelevant to today. or else he was indeed divine and today we can still believe his teachings and join in his mission to save the world. Photo: Anonymous, Public Domain, in Wikipedia.